All of the websites we design are optimized based on two primary principle – Providing an awesome User Experience and following Google’s Quality Raters Guidelines. We build fast and secure websites. They are always modern and mobile-friendly because that is what users want in 2018. Every site is search engine optimized to ensure it can be found on online search. 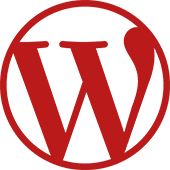 We build on WordPress and partner with the world-class hosting company WP Engine. Our websites are backed up daily and received regular site maintenance. We will train your staff and discuss your Google Analytics to ensure you are meeting your marketing goals. We ensure your website and all of the information on it is secure from spam, hackers, and anyone else who may be looking to exploit your information. Since UX website design is about providing the best possible interactions with your site it is essential that every site is mobile-friendly. Your website will be downright fast. Our hosting environment is built on the latest technology optimized specifically for WordPress… read more. We get asked quite a bit, how long will the site take to build? While the answer to this question can vary greatly based on what you want with your new website. Generally, a general draft of your new website will be available within 2-4 weeks. Once that is ready for your review we will begin a back and forth process or feedback and revisions that can take significant time. A standard 5-page website that is not e-commerce will be ready in 4-6 weeks (generally). That being said, a new website will go through quite a few changes in the first six months as you receive customer feedback. This is very normal and should be looked at as a good thing. Any small (or even medium sized) design changes to the website in this time period will be included in the base price. User Behavior – How are people interacting with your site, i.e. where are they clicking and what pages are they navigating through. Do you need hosted email services such as you@your-domain.com? No problem, we can get you set up and running. We recommend that you have an email account with your own domain name. i.e. hello@yourwebsite.com. This will help Google and your clients to recognize you as a legitimate business. We almost always recommend either Google Apps for Business or Office 365 when choosing an email provider. With both of these, you get top-notch email (solid spam filtering, uptime, support) and they also include their own versions of word, excel, email client, etc that come packaged with their plans. The SEO and marketing benefits of content marketing are numerous. There is now an expectation that modern websites are no longer a group of static pages, but instead should be dynamic, engaging, and always relevant. Google values original content (copy, imagery, media, etc.) being developed and published on your website and social platforms. This is known as content marketing. First, we will research which keywords will gain the most conversions and best results for your business. Then we develop quality content relevant to those search terms to ensure that searchers will find your business on a recurring basis. 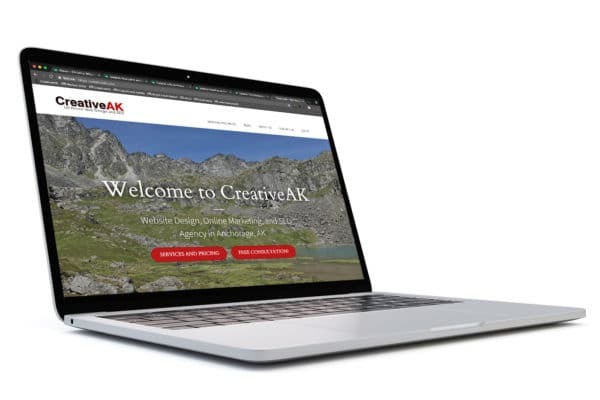 Below is our website build process from start to finish if you choose to build your website with CreativeAK. We start every project with a conversation. The scope of each project is based on the size of the site and features needed on that website. Our base price is for a simple 5-page website. Each of the features below can potentially increase this price. Do you need a member’s only section on the site? Anything else that you would like on the website or would help us develop it. A note on content – The content you share does not need to be finalized when you first send it over. In fact, sometimes it is nice to send over preliminary or placeholder content so that you can see how it fits with the design of the site. Once you see the draft content in your website, you might find that you want to change or move text and/or images. If you do not have a domain name picked out already, we will help you choose and install the best one for your business. Do you already have a domain name? If so we will ask for access to the domain registrar (the company who you used to purchase your domain through) so that we can point your domain name to your new website. We will set up a URL where you will be able to view the site as it’s being developed, i.e. https://yoursitename.wpengine.com. The draft website will be accessible to anyone who has that specific URL, but it will not show up on google, bing, yahoo, or any other search. This way, you can give the URL to individuals from whom you would like to receive feedback. Or, if you would like to limit the feedback, you don’t have to give this URL to anyone other than yourself. If you would like we could add a password to the development site. Once we determine your final business domain name, or whenever you would like, we will switch the site over to your actual domain name. The testing domain simply allows us to begin the design process while we are still brainstorming and setting up your domain name. Do you prefer a boxed or full-width design? Why? Do you have a logo, images or image concept that you would like to showcase on your website? What are the most important navigation elements for your business? Don’t worry if you do not have answers to some of the questions above. We will work through them together. If you really have no idea in mind about the design of the website then we can simply take a shot at it. If you like the direction of that shot then we will keep moving in that direction, if not, then we I will try another design direction. We can repeat this process as many times as necessary to ensure that you are happy with the end product, your new website. Sometimes, it is easier to designate a single point of contact for this iterative build process. A Note on Site Content – The text and images you initially send me do not need to be final versions. In fact, sometimes it is nice to send over preliminary or placeholder content so you can see how it fits with the design of the site. Once you see it, you might find that you want to change or move the text or images. Even after we have finalized all of the text and the site goes “live”, you will still find changes. Actually, after the site launches is the best time to receive feedback. I do not consider the initial build of a site completed for six months to a year after it is launched. It is important to give the site users (your potential costumers) what they want and we will not necessarily know what that is until they use the site for a while. When you are happy with the site we will point your actual “live” URL to the website we have been developing and exactly what you see at the development URL will now be live for the world to find. Even after we have finalized all of the text and the site goes “live”, there will still be changes. Actually, after the site launches is the best time to receive feedback. I do not consider a site completely finished until three months after it is launched. It is important to give users (clients, customers, whoever is visiting the site) what they want. We will not necessarily know what that is until they have a chance to use the site for some time. Once the site is launched we will train your staff to edit to your site’s text and images or utilize the other features that we’ve built into your website. Your site is now up and running, but how will people find it? Creating an awesome website is wasted if no one visits it. We offer a Local SEO Package to help drive traffic to your website and business. Additionally, if you sign up for the local SEO package we will waive the recurring $35/month hosting fee. Need More Information on Our Website Design Service?